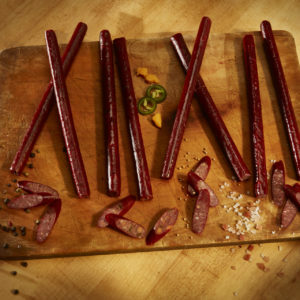 This Beef Jerky is for the pepper lovers, the ones who choose to live their life with an extra pepper shaker around. 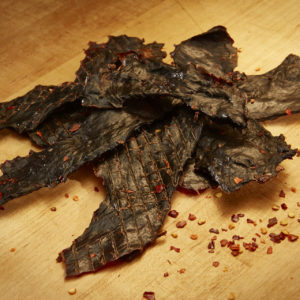 This beef jerky is for the ones who like it spicy but not too hot, with a savory finish. 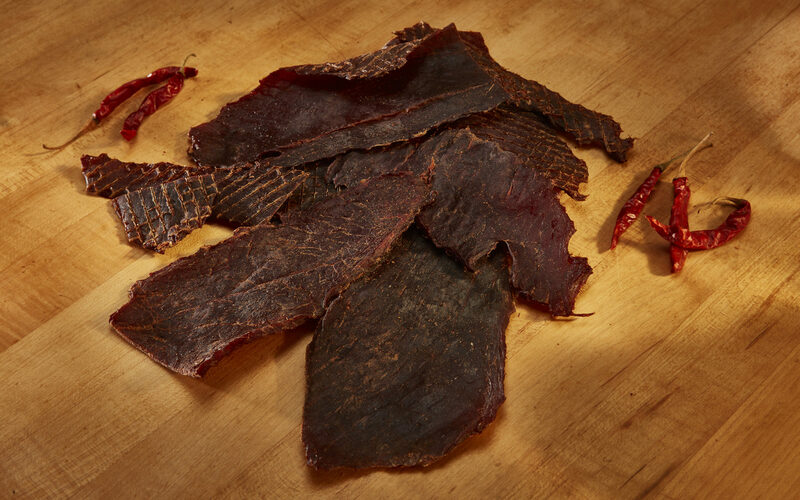 You can literally see the pepper grinds on this jerky and you know its high-quality jerky being in our Reserves. 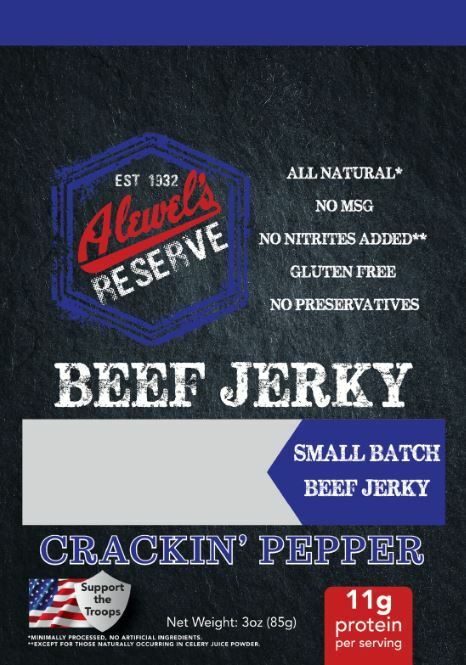 Try Alewel’s Crackin Pepper Jerky today! 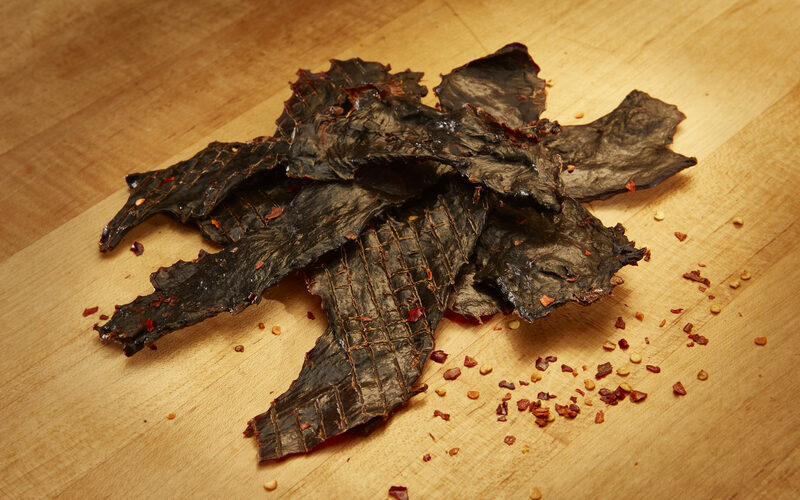 Add a little pepper, add a little protein and “BAM” you have the best peppered beef jerky in the land. 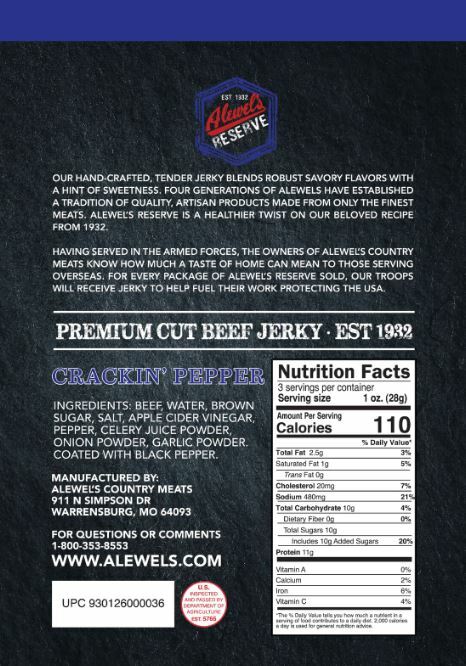 Alewel’s Crackin’ Pepper Beef Jerky has the perfect amount of pepper to give it the right kick. 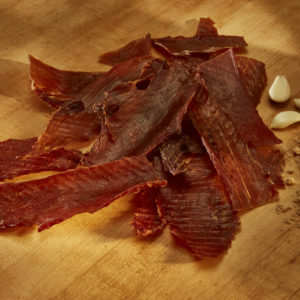 This beef jerky separates from the competition with the delicious fresh tenderness that will make your mouth water for more. 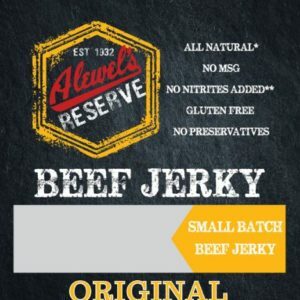 Alewel’s has been Crackin’ the perfect pepper spice on its beef jerky for over 85 years. 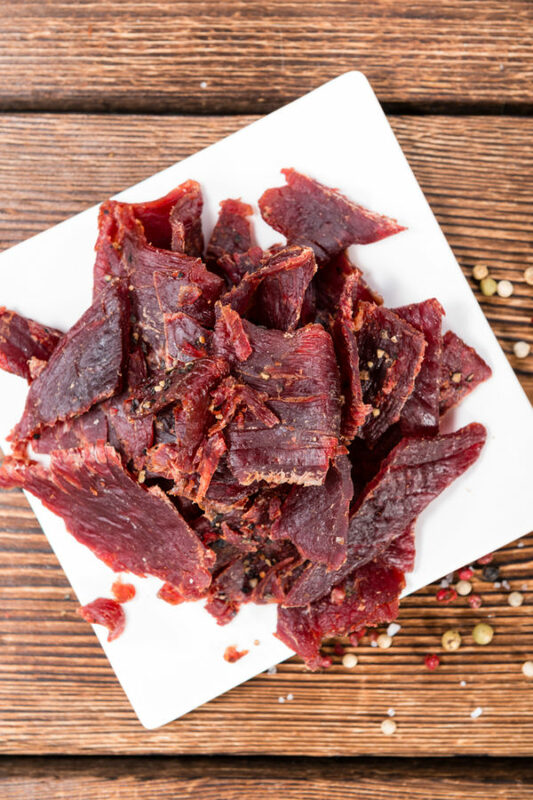 Try Crackin’ Pepper Beef Jerky for yourself with Free Shipping! Are you the one that asks the waiter to just hand over the “pepper cracker” at the restaurant? Like a little kick in each bite, but nothing that is going to set your mouth on fire? If you have a beard, be careful, you may find some pepper in it after you have some of this jerky! 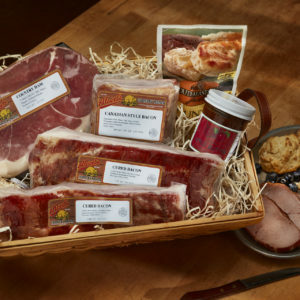 A kick at the start, and always a savory finish! 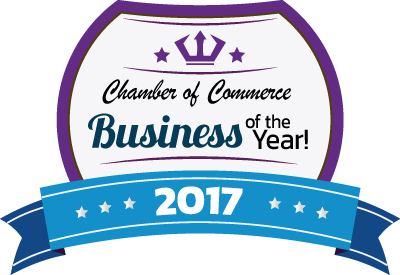 Learn how we make our award winning Crackin’ Pepper Beef Jerky here!